The forest preserve on Mount Vesuvius normally keeps the Italian mountain shrouded in darkness when viewed in nighttime astronaut photographs or satellite images of Naples. 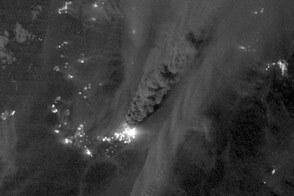 That was not the case on July 12, 2017, when the Visible Infrared Imaging Radiometer Suite (VIIRS) on Suomi NPP captured an image (right) of wildfires lighting up the slopes of the volcano. 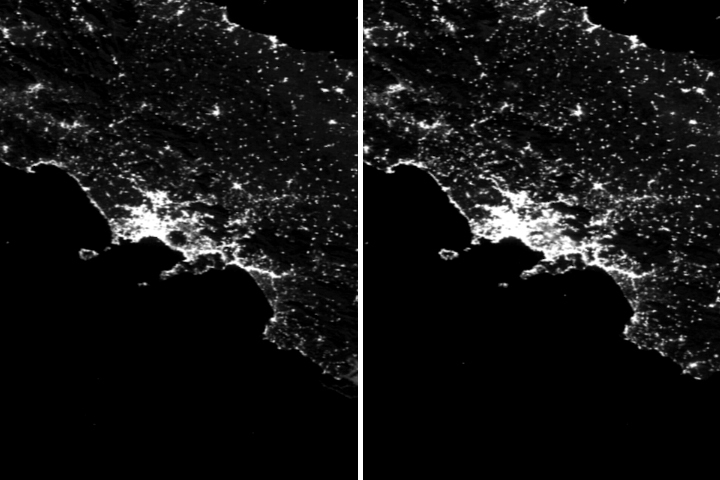 The July 9, 2017, image (left) was taken before the fires began. 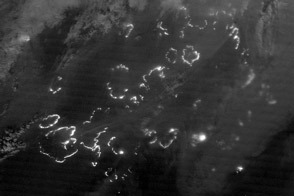 The image was captured by the VIIRS “day-night band,” which detects light in a range of wavelengths from green to near-infrared and uses filtering techniques to observe signals such as city lights, auroras, wildfires, and reflected moonlight. 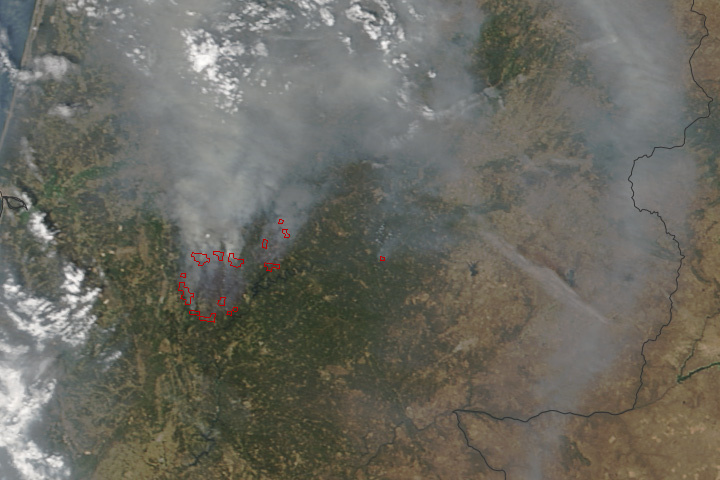 The Moderate Resolution Imaging Spectroradiometer (MODIS) on NASA’s Aqua satellite also captured images of the fires on July 10, July 11, and July 12. 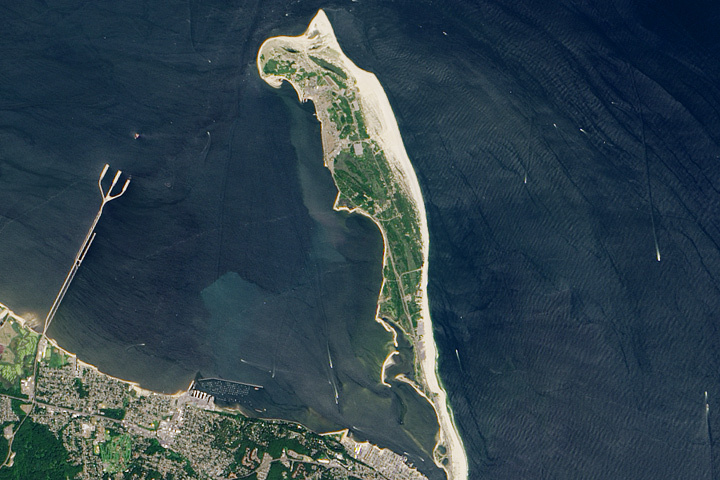 The European Space Agency’s Sentinel-2 satellite captured a detailed view on July 12. The July fires have burned much of the woodlands in Vesuvius National Park, which was established in 1995. The park protects more than 600 types of plants, 100 species of birds, and many small mammals and reptiles. Mount Vesuvius is best known for a catastrophic eruption in 79 A.D. that destroyed the cities of Pompeii and Herculaneum. Its last major eruption occurred in 1944. 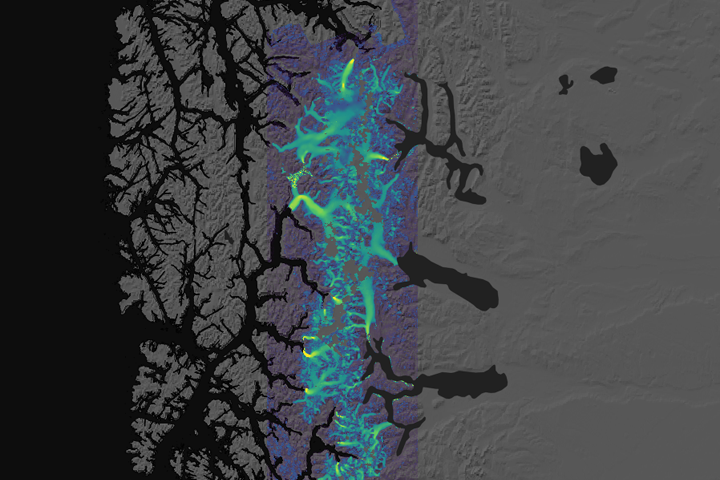 NASA Earth Observatory images by Joshua Stevens, using VIIRS data from LANCE/EOSDIS Rapid Response. Story by Adam Voiland. 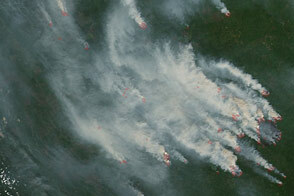 Several fires that burned around the volcano took a toll on the forests of Vesuvius National Park. 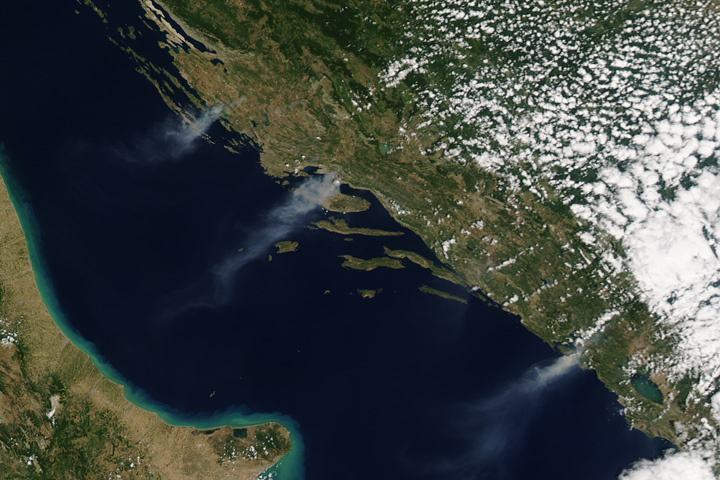 Summer wildfires burn in southern Europe. 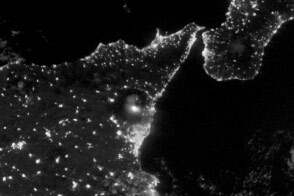 European Space Agency (2017, July 13) Vesuvius on fire. Accessed July 14, 2017. Global Volcanism Program (2017) Vesuvius. Accessed July 14, 2017. 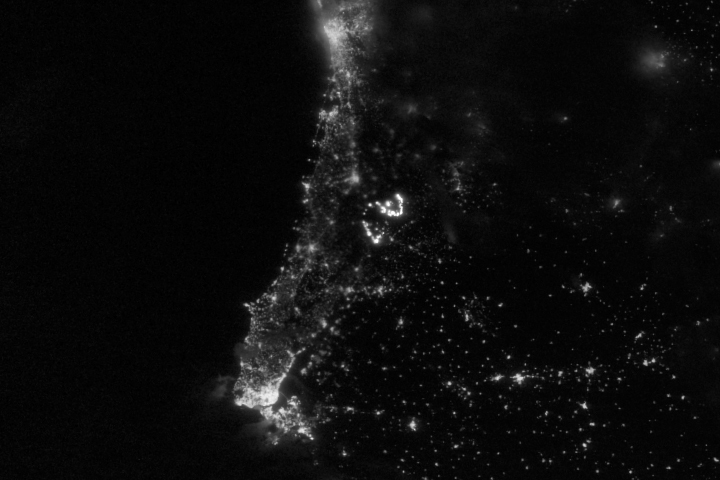 NASA Earth Observatory (2012, December 5) Out of the Blue, Into the Black. NASA Earth Observatory (2012, December 5) Naples and Mount Vesuvius at Night. The Local (2017, July 12) In pictures: Fire rages at Italy's Mount Vesuvius. Accessed July 14, 2017. The Local (2017, July 12) Wildfires continue to rage across Italy as police blame arsonists for Vesuvius blaze. Accessed July 14, 2017.